With the Golden Globes crowning Bohemian Rhapsody for Best Picture – Drama all thoughts turn to the Oscars and the inevitable Best Picture nomination of the Queen biopic. I want to get one thing straight. I have nothing negative to say about Rami Malek’s performance as Queen frontman Freddie Mercury. His performance was absolutely suburb. The problem with the film goes back to the screenplay’s embellishments. The paint-by-numbers biopic embellishes so much of what we actually know about the band. This is why it gets docked some major points in my book with regards to Best Picture. How can we call a film the best picture when it has many problems with the screenplay? Listen, I have nothing against Queen’s music. That I don’t believe the film is not the best picture has nothing to do with how I feel about Queen’s music. I know that this film was a crowd-pleaser in that it brought so much nostalgia for the music. My issues with the film have everything to do with how the LGBTQ community is portrayed in Bohemian Rhapsody. I said as much when I wrote my review of the film in October 2018. When I write that the film does a disservice to Freddie Mercury’s legacy, I mean exactly that. I’m not the only LGBTQ critic who feels that the community has been poorly portrayed during the film. 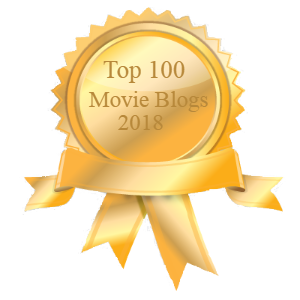 I linked to a few of these critiques when I posted my worst films of the year in late December. Bohemian Rhapsody is this year’s equivalent of The Greatest Showman in that the film features crowd-pleasing music but the script is absolutely awful. You can read the band’s real story on Wikipedia and then be flabbergasted by what they did in the film. Moving Freddie’s AIDS diagnosis up by two years turns the Live Aid performance into emotional blackmail (I’m probably not the first to describe it this way and I’ll happily give credit to whoever did)! Moreover, Freddie was a THIRD BAND MEMBER to go solo. The film convinces the audience that he was the first! He was most definitely not, thank you. Can we talk about how the film shows some films being recorded a few years before they actually were? There’s a strike for that, too. The biggest worry come following the initial trailer came true in that the film did a disservice to the singer. When Freddie receives his AIDS diagnosis, the moment is not as emotional as it could be. This is a serious disease that killed many people and instead, the moment comes as one that feels extremely anti-climactic. AIDS led to his tragic passing at the age of 45 years old on November 24, 1991. Here it is, the film missed an opportunity to have a bigger focus on his battle with the disease. Need I remind you that Freddie was diagnosed two years AFTER the Live Aid performance and yet as they rehearse for the gig, he opens up about his battle with AIDS! If you’re going to tell the story, please tell it the right way. What ruined the film for me was finding out just how much Anthony McCarten’s script (story by McCarten and Peter Morgan) embellished AFTER THE FACT as I was writing my review. All the goodwill that was delivered by the climactic recreation of the Live Aid performance vanished without a trace. With surprising win at the Golden Globes, a nomination by the Producers Guild of America, and the Screen Actors Guild for Outstanding Performance by a Cast, a nomination for Best Picture is seemingly inevitable. That may be the case but we don’t have to be happy about it. The Oscar nominations will be announced on January 22, 2019. Will Bohemian Rhapsody be among them? The post Bohemian Rhapsody Is Not The Best Picture appeared first on Solzy at the Movies.